Updates to Ruby Delores' profile since your last visit are highlighted in yellow. Dropped out as freshman to get married, came back 9 years later as a junior and graduated in 1961 with probably one of the smartest, nicest classes JHS has known. Great experience! Looking for a 1961 JHS yearbook. If anyone would part with theirs, let me know. Ruby Delores Adams Whitaker posted a message. Happy Birthday, Betty! Hope your day is wonderful! Happy Birthday, Frances! I hope your day has been special. Ruby Delores Adams Whitaker has a birthday today. New comment added. 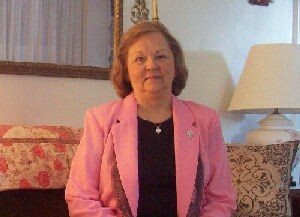 Ruby Delores Adams Whitaker added a comment on Profile. Ruby Delores Adams Whitaker posted a message. New comment added. Happy Birthday, Connie! Have a wonderfully blessed day! Happy Birthday, Betty! Hope your day is special. Ruby Delores Adams Whitaker added a comment on Gary Wright's Profile. Ruby Delores Adams Whitaker has a birthday today. Ruby Delores Adams Whitaker posted a message on Billie Wright's Profile. Happy Birthday, Connie! Have a wonderfully blessed day.....day after day! Happy Birthday, Billie! I hope your day is special. Remembering pleasant days at JHS with you! Have a great year until the next birthday rolls around!